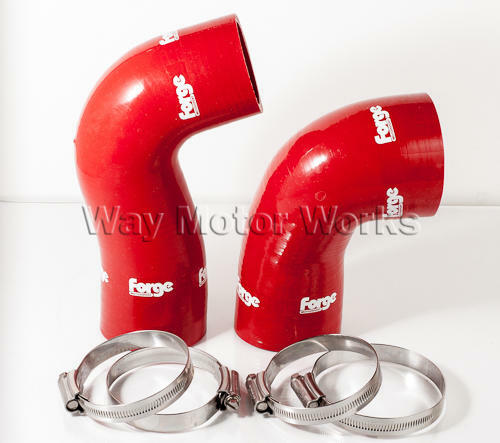 Forge Cold Side Silicone Turbo Hoses fits the 2007 onwards BMW MINI Cooper S Turbo (R56 R55 R57 R58 R59). 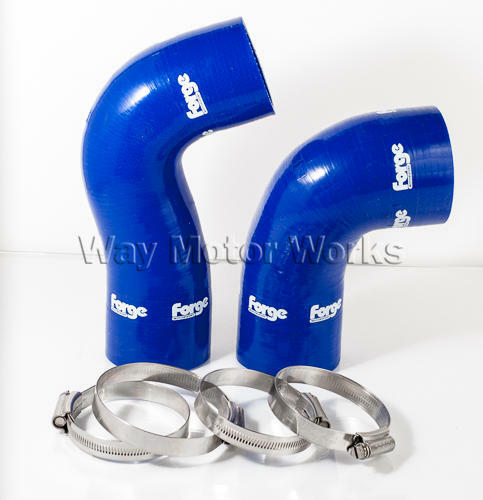 This 2 piece set Forge Silicone hose set replaces 2 of the rubber hoses on the cold side of the intercooler. The first hose connects to the outlet of the intercooler to the factory plastic crossover pipe. 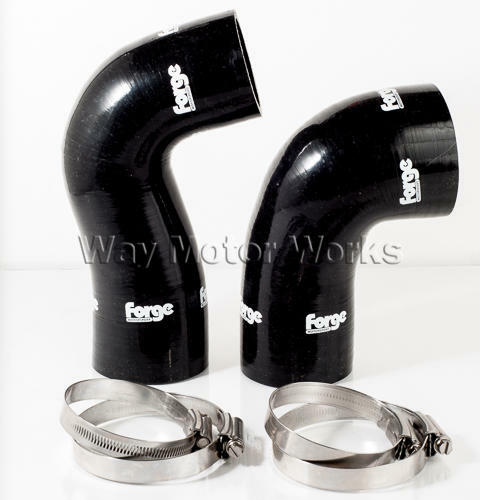 The 2nd connects from that plastic crossover pipe to the hard plastic pipe that goes down to the throttle body. Sold as a 2piece set in Red, Blue, or Black. Do I need these if I'm getting the discharge pipe and delete hose?